To contact customer service please call 778-729-0504 or 1-833-870-4188 or email knvlottery@mnp.ca. Millionaire Lottery: There are 299,000 tickets available for sale. 50/50 Plus Lottery: There are 482,000 tickets available for sale. Daily Cash Plus Game: There are 180,000 tickets available for sale. Millionaire Lottery: 2pack (2 tickets) for $100, 5pack (5 tickets) for $175, 10pack (10 tickets) for $250 and 25pack (25 tickets) for $500. 50/50 Plus Lottery: 2pack (2 tickets) for $15, 6pack (6 tickets) for $30, and 16pack (16 tickets) for $60. Daily Cash Plus Game: 2pack (2 tickets) for $25, 6pack (6 tickets) for $50. You must buy, or have bought, tickets in the 2018 Millionaire Lottery before you can buy tickets in the 50/50 Plus Lottery or the Daily Cash Plus Game. How can I obtain a winners’ list? A complete searchable winner’s database will be available on this webpage on or before February 10, 2019. A list of winners will also be published in The Province newspaper on February 10, 2019. Millionaire Lottery: Chances are 1 in 299,000 (total tickets for sale) to win a grand prize. Actual odds depend on number of tickets sold. All inquiries, if any, on the odds of winning, are to be made to the licensee prior to the purchase of ticket(s). 50/50 Plus Lottery: Odds of winning the 50/50 prize will depend on the number of tickets sold. Daily Cash Plus Game: Chances are 1 in 180,000 (total tickets for sales) to win the main prize. Actual odds depend on the number of tickets sold. 50/50 Plus Lottery maximum prize payout may be $1,140,000, however the 50/50 Plus prize is dependent on the number of tickets sold. What happens if a bad payment is received? If your cheque is returned to us by the bank or if a credit card payment is charged back you will be contacted by KNV Processing Services and given an opportunity to provide replacement payment within two business days. Any tickets issued will be considered invalid until replacement payment is received. Purchasers must be at least 19 years of age. If a winning ticket bears a minor’s name, the prize will be lawfully delivered on behalf of the minor to the minor’s parent, legal guardian or trustee. Can Millionaire Lottery tickets be purchased online? Recently the rules governing British Columbia Charitable Lotteries have changed to allow for online ticket sales. The following three conditions must be met in order to order tickets online. Ticket purchasers must be physically in the province of BC when placing the order. The address given to mail the tickets to must be a valid British Columbia address. The entire payment transaction must take place in British Columbia. Can I purchase tickets if I am not a resident of British Columbia? Yes, but there are certain restrictions and conditions which must be met. The lottery is intended for BC residents. Ticket buyers must be in British Columbia at the time of purchase. A non-resident of British Columbia may purchase a ticket if the entire payment transaction takes place while the person is in British Columbia and if the ticket or a receipt is issued at that time. Tickets can be mailed to addresses outside the province of British Columbia. Non-residents of British Columbia must place their order for tickets at one of our retail sales outlets where they will receive a physical receipt for their purchase. Retail sales outlets are London Drugs, VGH & UBC Hospital and any of the prize homes that are open and selling tickets. A non-residents of British Columbia can not purchase a ticket via the Internet, by telephone, by fax or by mail but must purchase at a retail sales outlet only. Tickets or receipts cannot be distributed to, mailed or otherwise sent to a non-residents third-party address in British Columbia. Are there any restrictions on a BC resident buying tickets? A resident of British Columbia may purchase a ticket only if the entire payment transaction takes place while the person is physically in British Columbia and if the ticket or a receipt is issued at that time. When a resident of British Columbia is outside the province of British Columbia they may not place an order to purchase tickets. This restriction includes all methods of ordering tickets, including mailing in your order. For further information on restrictions on purchasing, please see Standard Procedures for Ticket Raffles, Gaming Policy and enforcement Branch, Province of British Columbia. The website for information is www.gaming.gov.bc.ca/licences/docs/procedures-ticket-raffle-pdf. Please see Section 9 for specific details on purchasing restrictions. How many prizes will be awarded? Daily Cash Plus Game: 105 prizes will be awarded. What is the total prize value? Millionaire Lottery: Approximately $4,166,049 based on MSRP as provided by our suppliers and includes related taxes. 50/50 Plus Lottery: The prize will be based on 50% of the total sales proceeds from the 50/50 Plus Lottery tickets. 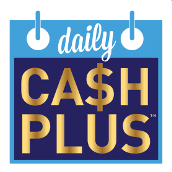 Daily Cash Plus Game: The prizes have a cost of $300,000. No, lottery tickets are not tax deductible; even though proceeds support a charitable cause. Where do the proceeds from the Millionaire Lottery go? The proceeds from the Millionaire Lottery support Vancouver General Hospital, UBC Hospital and GF Strong Rehab Centre. Your purchase of tickets for the VGH & UBC Hospital Foundation Millionaire Lottery helps our hospitals fund pioneering research, purchase new medical equipment and improve patient care. If I win the Loyalty Cash Draw, the Fall Cash Draw, the Christmas Cash Draw, or the Early Bird Draw, do I still qualify for the other prize draws including the Grand Prize? Yes, after each draw the winner is recorded and the ticket number then goes back in for every prize category. Tickets must be purchased before the designated cut-off dates to be eligible for a prize. You do not need your ticket to claim your prize. Your name, address, and phone number are recorded in the database along with your ticket number. If you would like a replacement ticket, you can call 778-729-0504 or toll free 1-833-870-4188 or email knvlottery@mnp.ca. Do I have to pay tax on any winnings? Lottery winnings are considered a windfall and not taxable in Canada. We respect your privacy. VGH & UBC Hospital Foundation protects personal information and adheres to all legislative requirements with respect to privacy. We do not rent, sell, or trade our mailing lists. Information provided through ticket purchase will be used to deliver services and keep you informed on Foundation activities, including programs, services, and special events, funding needs, opportunities to volunteer or give and more, through periodic contacts. To be removed from these contacts, call (604) 875-4676 or email info@vghfoundation.ca. Can I request a specific ticket number? No. Ticket numbers are computer-generated in ascending order starting at a pre-determined number. Can I purchase tickets in multiple names? Yes, although one person will be designated as the primary purchaser and will be responsible for distributing the winnings between the multiple purchasers. The licensee is not responsible for distributing winnings or resolving disputes between ticket purchasers. Prizes must be claimed within twelve (12) months of the Final Draw. The Grand Prize winner must decide on which option they are taking within 10 days of being awarded the prize. How will I know if I have won a prize? The primary ticket purchaser will be notified by phone and/or mail by the VGH & UBC Hospital Foundation as to what they have won and where/how to claim their prize(s). Prize winners will be published in The Province Newspaper on February 10, 2019. A complete list of winners will also be posted online on the same date at www.millionairelottery.com. How long does it take to receive my ticket? You should receive your ticket in approximately 2 – 3 weeks after the order is placed. If you do not receive your ticket(s) within 3 weeks, please call 778-729-0504 or 1-833-870-4188 or email knvottery@mnp.ca. What are the Prize Draw Dates? 190-855 West 12th Avenue, Vancouver, B.C. All remaining prizes with a value in excess of $1,000. 7850 Enterprise Street, Burnaby, B.C. 15303 31st Avenue, 3rd Floor, Surrey, B.C. How can I be sure my tickets are in the draw? The professional services firm, MNP LLP, ensures that all paid tickets are in the draw. If my ticket gets pulled and I am away for the Grand Prize, the 50/50 Plus, or any other prize, what happens? Once a prize winner has been chosen, the prize that winner has won is solely for them. For prizes over $1,000 value, the winner will be called and advised of their winnings. If the winner is not available at the time of the call, the foundation will continue to call, email and then write letters to the winner to notify them of their winnings. For prize of $1,000 or less in value, the winner will be sent a letter advising them of what they have won and how to claim their prize, if applicable, or outlining how they will receive their prize. For those that win a gift card that is valued at less than $1,000, the gift card will be mailed to the winner with their notification letter. Will my name be publicized if I am a winner? Yes, all winners’ names are publicized as part of the winners list. Millionaire Lottery: The Grand Prize is drawn manually from a barrel. All other prizes are awarded by use of a random number generator. 50/50 Plus: The 50/50 winner is awarded by use of a random number generator. Daily Cash Plus Game: All prizes are awarded by use of a random number generator. What are the guidelines for buying tickets? Purchasers must be in the province of BC when placing their orders. Purchase by phone, fax, mail, online or in person at select prize homes, London Drugs, or VGH. Purchasers ordering by phone, fax, mail and online must have a valid BC mailing address as well as be physically in the province of BC when placing their orders. One method of payment only for phone, fax and web orders. Mail in purchases can be paid by Credit Card, Cheque or Money Order. London Drugs will not accept Personalized Cheques, but will accept Money Orders (made out to London Drugs Limited), Credit Cards, Debit Cards, and Cash. The prize homes will accept Personalized Cheques as well as Money Orders (made out to Millionaire Lottery), Credit Cards, Debit Cards, and Cash. The sales kiosk at the Hospital will accept Personalized Cheques, Money Orders (made out to Millionaire Lottery), Cash, and Credit Cards. Debit Cards may or may not be accepted. All Cheques should be made payable to Millionaire Lottery. All 2pack, 5pack, 10pack, or 25pack ticket sets must contain the same purchaser’s information and will be mailed/emailed to the primary ticket holder. 50/50 Plus orders will not be accepted without the purchase of a 2018 Millionaire Lottery 2pack, 5pack, 10pack, or 25pack. Each 50/50 Plus Lottery ticket must contain the same customer information as the 2018 Millionaire Lottery 2pack, 5pack, 10pack or 25pack it was sold in conjunction with. Should you have purchased a ticket in the 2018 Millionaire Lottery, you are entitled to add 50/50 Plus Lottery tickets without purchasing an additional 2018 Millionaire Lottery ticket. Daily Cash Plus Game orders will not be accepted without the purchase of a 2018 Millionaire Lottery 2pack, 5pack, 10pack, or 25pack. Each Daily Cash Plus Game ticket must contain the same customer information as the 2018 Millionaire Lottery 2pack, 5pack, 10pack or 25pack it was sold in conjunction with. Should you have purchased a ticket in the 2018 Millionaire Lottery, you are entitled to add Daily Cash Plus Game tickets without purchasing an additional 2018 Millionaire Lottery ticket. To add tickets to any order, please contact 778-729-0504 or 1-833-870-4188 or email knvlottery@mnp.ca.